Feehan's latest foray into the deadly, veiled world of the shadow riders is an engrossing tale of honor, betrayal, and retribution that ultimately leads to love. Feehan (Bound Together) lives in Lake County, CA. Sensual, violent, intense, and thrilling, this final stunning installment of the "Sea Haven: Sisters of the Heart" series is the one fans have been waiting for, and they won't be disappointed. Feehan (Dark Promises) lives in Lake County, CA. Edgy, inventive, and steamy, this deliciously dark, often grim story featuring deadly and graceful characters who literally slip through the shadows is a standout for the creative Feehan and launches another well-conceived series. 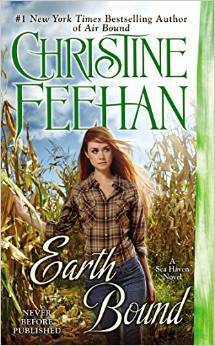 Feehan (Fire Bound) lives in Northern California. Swift, intricate, and over-the-top steamy, this vengeance-filled, page-singeing romantic thriller keeps fans on an adrenaline high as lethal, perfectly suited principals ensure that an assortment of depraved villains get their just desserts. Feehan (Dark Promises) lives in Northern California. Diverse and seductive, each story in this well-done anthology is compelling and puts a slightly different spin on the vampire world. Feehan, Shayne, and Herter live in Northern California, upstate New York, and Southern California, respectively. Gritty, brutal, and wonderfully magical, this heartfelt romance adds another gripping chapter to Feehan's addictive series that brings together a family of brothers trained as children to be ruthless assassins with a sisterhood of damaged, gifted women. Unexpected and mesmerizing perfection. Feehan (Cat's Lair) lives in Northern California. The novella begins with a lot of telling rather than showing, but as Cole and Maia learn to trust each other, their actions reveal two likable characters. Maia's sixth sense with animals, however, may test readers new to paranormal romance. Feehan is a New York Times best-selling author ("Drake Sisters" series, etc.). Rocky Mountain Miracle was originally published in A Christine Feehan Holiday Treasury (2004).